The Elekit TU-8200DX stereo amplifier kit is a gift to the audiophile community. I am unaware of a smoother, quieter, more musical, more pleasing integrated amplifier/headphone amplifier in this price range. The price to quality ratio is outstanding. 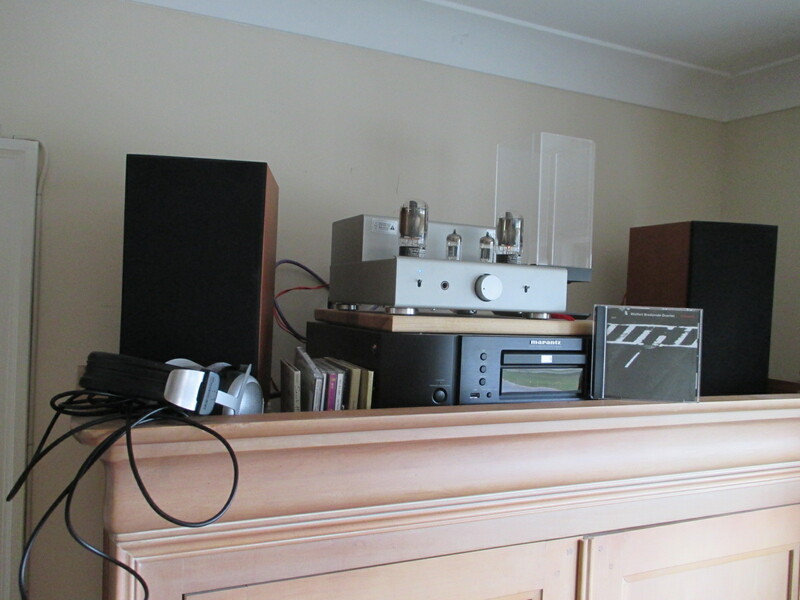 As I hooked up a pair of lovely Unity Audio “Inner Soul” speakers to the the Elekit TU-8200DX integrated amplifier the sound was rich, warm, full and smooth as silk. Crossover-less Fostex drivers can sometimes shout but not paired with the Elekit. When single driver speakers are done right, you really can see into the heart and soul of the music. The Unity speakers have a name worthy of their character. Highs soar without becoming shrill. Room ambience is recovered and instruments seem to have air surrounding them. 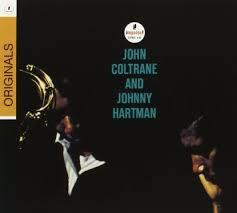 Johnny Hartman’s voice is startlingly realistic. The Elekit is perfectly matched with the Unity Audio speakers. In fact the Elekit worked with each and every speaker–and there were five–I used. Harbeth Compact 7s? Check. SVS Prime, Tekton M-Lore, Mordaunt Short Carnival 2? You bet, no sweat. The Elekit also paired perfectly with Beyerdynamic DT-880 and HiFiMan HE-400 headphones. The TU-8200-DX is made of aluminum with a silver-matte finish. This is a kit amp, but when it’s assembled you would never know it, for there is nothing DIY about the fit, finish, or sound. In less than ten minutes, most of us could come up with a catchy name suggesting silvery smoothness. Alas, in keeping with the general trend in audio, we have letters and numbers–TU-8200-DX. This wonderful amp deserves a better name. Now that I have dismounted that hobby horse, let the praise flow, like a mountain stream…. 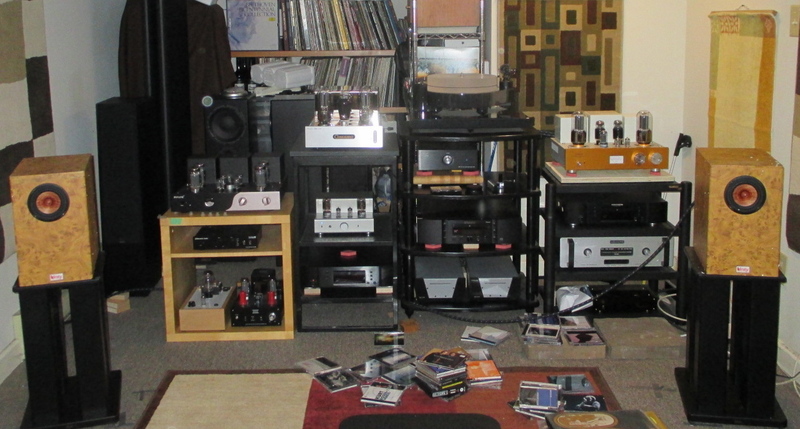 Elekit TU-8200-DX in the middle, beneath the big Coincident Turbo 845 SE integrated amplifier. VK Music of Vancouver imports and distributes Elekit, Triode Labs and other Japanese audio brands. The VK stands for Mr. Victor Kung. There is no 35-hour week chez Victor; a full-time accountant by day, VK Music is his moonlight gig. Victor is a mainstay on the audio show circuit. The amp under review was demoed in Montreal and Toronto in 2014 and soon I must (regrettably) send it back so Victor can take it to the Chicago audio show. VK Music’s product line is stuffed full of eye-popping bargains. This is one lean low mark-up machine. Elekit has gained a strong following in North America and Europe largely on the basis of very favorable reviews in major online publications and due to positive chatter in online forums like www.head-fi.org. Elekit has been selling science project kits to Japanese high school students for forty years; the audio wing has been in business for almost 30 years. Mr. Hidemi Iguchi and Mr. Yoshitsugu Fujita are, respectively, the president and chief engineers. If you’d like to read more about Elekit’s history, and if you are curious about the process of building an Elekit, I suggest looking at the two detailed reviews of this amp and its predecessor by David Kan of www.6moons.com. Elekit’s mission is to provide first-class audio kits at real-world prices. 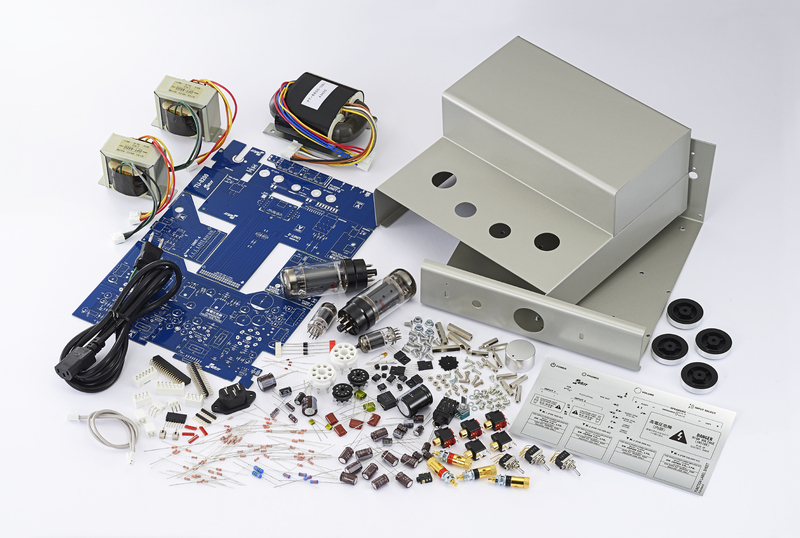 Some Elekits are partially assembled, involving minimal work on your part. You pay for the high-quality parts, the design and a small mark-up. This business model might save you a sum of money equal to the price tag you pay. In the case of the TU-8200DX, you are paying $725 for a product that might retail in a store for $1,300 to $1,500. Most people’s time is not that valuable so this is a very attractive proposition. And I haven’t begun to mention the joys of building something with one’s own hands. I was given the option of reviewing a pre-assembled amp and I accepted. I have built a very DIY-looking Bottlehead Crack headphone amp. It took me 25 hours to find my way, which is far above the average time for most customers. Comparing the parts list and layout of the Elekit and the Bottlehead, I would guess that the Elekit would be a bit easier to build. David Kan required 15 hours to assemble his unit. Having said that, with 55 resistors to solder, not to mention the capacitors and the transformer leads, this project will require quite a bit of elbow grease, dexterity and patience. But the chassis seems large and unlike the Bottlehead, the Elekit doesn’t seem to have a particularly cramped layout. On top of this, many people find soldering a PCB board easier than point-to-point wiring using numerous terminal strips and the like. The TU-8200DX is shipped with 6L6 output tubes but the amp is auto-biased and you can swap EL34, KT66, KT77, KT88, 6550 and KT90—there are no switches to change. Just turn off the amp, let it cool down, and unplug before you roll tubes. The input tubes are 12AU7, allowing for numerous affordable tube-rolling options. If you are willing to unscrew the case, you can adjust a couple of small jumpers and switch between ultralinear, pentode and triode modes. The TU-8200DX’s headphone out uses three resistors to connect to the output transformers. Under the hood you’ll find the stock, high-quality Japanese R-core transformer and output transformers, the heart of the design. On the back of the amplifier you’ll find two RCA inputs. There is also an impedance switch to match the amp to your speakers. On the front, you’ll find the ¼”headphone jack. The TU-8200DX can accommodate an optional and inexpensive Elekit-supplied DAC. Using the stock 6L6 tubes, the Elekit will output up to 8.2 watts in ultralinear and pentode mode and roughly half that in triode mode. This is a versatile amp but unless you want to undo screws and remove the cover to switch between triode, pentode and ultralinear modes, you’ll have to drill an access hole and risk defacing your top plate. David Kan succeeded but unless you are adept with your drill, don’t try this at home. The casework is sturdy and attractive in a minimalist way. The TU-8200DX weighs in at 6.6 kg or about 15 pounds. My review unit came upgraded with a long list of Amtrans carbon resistors, five Nichicon polymer aluminum electrolytic capacitors and $100 worth of Amtrans AMCY oil coupling capacitors. My upgraded amp would cost you close to $900. The $725 to $900 Elekit is situated at an un-crowded price point. Inexpensive Chinese-made single-ended tube amps with headphone sections abound in the $300 to $500 price range, but the Elekit falls outside this super-budget category. The Elekit’s provenance is also clear—from Japan to Vancouver to your house, there’s no gray zone of rebranded products. You’re not going to get fake WIMAs or capacitor meltdowns with this design. Should you need a repair it should be quicker and less expensive than the seemingly bargain-priced fare hailing from Shenzen. This is an amp for the long haul. I think you get what you pay for; the Elekit is quieter and smoother than everything I have heard in the lower price bracket (Yaqin, Audioromy, Musical Paradise, vintage American amps using 6V6 and 6L6). As a loudspeaker amplifier I think the Elekit is pretty close to the similarly priced Decware gear I have heard, but it’s substantially warmer and smoother, a bit thicker sounding, and not as open and fast. It is denser with richer tonal colors. The 6L6 tube can provide the deepest timbres with strings and woodwinds and the Elekit taps into all that glorious tube’s potential. The Elekit falls squarely in the traditional tube sound range without being slow or muddy. Paired with SVS Prime loudspeakers, the Elekit is more than equal to the task of conveying the psychedelic, bouncy beat of “Up From the Skies” (Jimi Hendrix, Axis: Bold as Love) in my small/medium listening room. 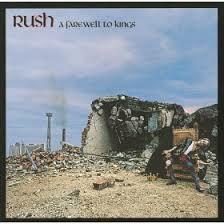 I did, however, have to turn the amp, literally, to eleven. Headbangers won’t pair this amp with the speakers mentioned above but headbangers won’t be interested in this amp in the first place. Elekit in the middle, above the Jimi Hendrix LP. Hooked up to SVS Prime loudspeakers. The Elekit comes close to my Coincident Dynamo SE in its quietness and its ability to capture the warm tone of a jazz guitar. It seems to have a bit less pluck, less bite, but it can bloom with the best of them. 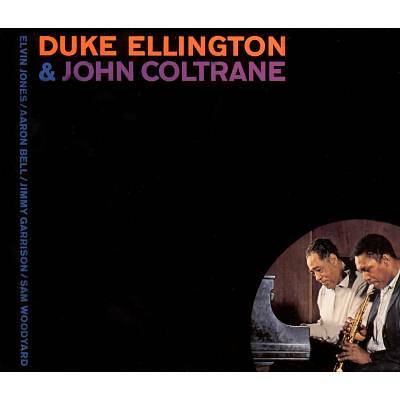 John Coltrane’s tenor sax on “Wise One” positively blooms with the Elekit, as it does with my Coincident. Paired with Unity Audio “Inner Soul” speakers, Elvin Jones’ cymbal strikes during the first thirty seconds of “My Little Brown Book” are as full, dimensional, and as lifelike as I have ever heard them, even with systems costing ten times more. If you listen to nothing but simple acoustic music in a small room, and if you don’t need a remote control, the Elekit, like the Coincident, could be a final destination product. The fifteen-pound Elekit cannot quite match the speed and drive of the $1,299 twenty-two pound Coincident but it’s pretty darn close and there’s no question the Elekit has a smoother, more fluid headphone section, with no hum at all. When lights were low, I compared the Elekit with the Dynamo. The Dynamo won, but not by much. The Elekit’s distinguishing features are its smooth-as-silk musicality and its lack of noise. Through low and high impedance headphones, there is no hiss. The Elekit is a jazz trio’s dream come true. With sensitive 95dB loudspeakers it’s very quiet–not solid state quiet, but with far less noise than a typical tube amplifier in this price range. Even in the quietest moments of piano or guitar sonatas, the background is as black as night. This allows you to see all the detail, but remember, there’s no etch or brightness. It’s perfect! You can revel in subtle details like fingernail scrapes on metal strings or the long decay of a struck piano key, if that’s your thing. But the Elekit is no cold clinical tool. The Elekit seems to strike a perfect balance between detail retrieval, noiselessness, and musicality. The one area in which the Elekit clearly loses out to my Coincident is in the bass grunt–there is ample bass (for me, but YMMV) but this amp is obviously not a perfect match for complex orchestral music or hard rock. But it’s good enough. So, is this a headphone amp first and foremost, and a speaker amplifier as a second thought? It’s hard to say but I think Elekit seeks to satisfy both markets. Not quite five minutes after listening to various Woo Audio amps at the 2014 Montreal and Toronto audio shows, I listened to the Elekit. It sounded just as good—big, powerful, quiet and possibly a bit smoother. The Woo line generally has firmer bass, but ever so slightly. With its ability to drive loudspeakers as well as headphones, the Elekit is undoubtedly a better bargain than anything in Woo’s fine line of products. Elekit’s transformers are made in Japan to very high standards. There is zero mechanical hum. The Woo and Decware gear I have owned and reviewed has all hummed, just a little bit, but enough that I noticed it during piano sonatas. Wolfert Brederode’s clarinet is ravishing and the Elekit captures that trademark ECM reverberant sound. With NOS Mullard M8136 (12au7), Tube Amp Doctor 6L6 WGC-STR, NOS RCA 6L6WGB, and half a dozen EL34s on my shelf, I put the stock tubes away, figuring I’d start with the best possible sound and then see how big the change was as I downgraded the tubes to normal fare. In fact, tube snob that I am, I never bothered to use the stock Electro Harmonix tubes. I recently dropped an exquisite Psvane KT88 black bottle tube.That was an expensive mistake, and it meant I was unable to try KT88s, but I still had over half a dozen power tubes to roll. The Elekit responded well to tube rolling, showing off each particular tube’s strengths. I spent most of my time listening to 6L6 in pentode mode. To evaluate the headphone section, I started with my HiFiMan HE-400s and proceeded to my Beyerdynamic DT880s hooked up to a Marantz SA-8003 CD/SACD player. 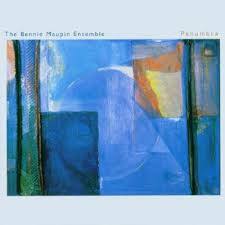 The Bennie Maupin Ensemble, Penumbra CD was an eye-opener. Bass clarinet was probably as deep as it has ever been through cans, with bloom up top and rattle down below. With the volume knob at 9 o’clock, the Elekit was in complete control of my Beyers. There was a great soundstage and no audible noise floor. The sound was smooth and clean at both frequency extremes. The beat was fluid, easy, relaxed. 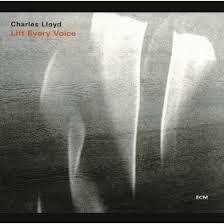 Charles Lloyd’s saxophone on his CD “Lift Every Voice” was reedy, breathy, and full. Immense, in fact. The Elekit is no speed demon or PRaT machine. It seems more balanced, less concerned to startle you with transient snaps than to present the whole picture. It’s more laid back, never upfront or etchy. The soundstage is very large. This is world-class. At just nine o’clock the volume is loud. It is a perfect pairing. Wolfert Brederode’s clarinet is as smooth and sweet as honey. Stunning! HiFiMan HE-400s paired well with the Elekit, fed by a Maverick DAC. With most simple jazz and classical music, the Elekit had no trouble getting my Harbeth Compact 7s to loud volumes in my small to mid-sized listening room, and the amp coaxed all the sweet tone from Joe Pass’ solo guitar I could hope for, but with more demanding orchestral music the Elekit ran out of steam when I turned the dial to 12 and bass was somewhat too smooth—not flabby or wobbly but simply not dry enough for my liking no matter the volume. All that changed with my Tekton M-Lores which at 95dB and 8 Ohms are more sensitive and a better match for this amplifier. With the Tektons, bass was ‘good enough’, something I could live with. I put the Elekit to the reggae test and it did surprisingly well, keeping up with Peter Tosh on “Pick Myself Up.” If you are looking to put together a sub $2,500 system, the Elekit seems like an obvious choice paired with some inexpensive high-sensitivity speakers like those of Tekton Design. Buy this amp, get off the mad merry go round, and don’t look back. The Elekit can almost render terrible music listenable. 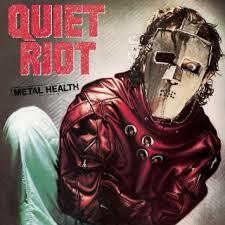 It quiets down the shrill voice of Kevin DuBrow. On the opening bass line to “Closer to the Heart,” there’s that clear Rickenbacker sound of Geddy Lee’s early years, before he switched guitars. In triode mode using TAD 6L6s, bass is a bit muddy. Pentode firms things up a bit, but bass on Rush’s “Best I Can” is not the best I can get from a single-ended tube amp. My Coincident Dynamo SE is twice as good in this regard. In the end, I can see no other weakness to this wonderful amp. You can do better–the Coincident is proof of that–but you’ll need another $500 to get there. Hooked up once again to the Unity Audio “Inner Soul” speakers I have on review for WallofSound.ca, the Elekit was, once again, smooth and quiet. That’s a good thing considering these crossover-less, sensitive speakers will reveal any flaw in the recording. The Elekit and Unity Audio pairing was perfect—detail and speed from the Unity was tempered by the smoothness of the Elekit. The sound was utterly open and transparent, three-dimensional. Spinning a pristine, unopened! 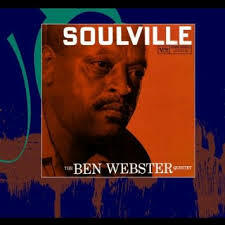 LP (Ben Webster’s Soulville) for the very first time, I said to myself: that trademark raspy tenor is right here in the room. There was recording studio ambience and air, ample detail, and a rich, smooth sound. Divine! This little amp is a holographic imaging machine. It excels in creating a realistic, three-dimensional soundstage. The Elekit TU-8200-DX is a perfect solution for those seeking a world-class sub-$1,000 headphone amplifier, or a sub-$1,000 single ended loudspeaker amplifier–or both! If Victor Kung did not need this demo amp to take to the Chicago show, I certainly would have bought it. As much as I love my $500 (including shipping, exchange rate) Musical Paradise MP-301 mk3, the Elekit is on another level. True, it costs more, but to me it’s worth it. This is the type of amplifier one can listen to all day long with no fatigue whatsoever. This is a gem of an amplifier. Highly recommended. I just posted a question in an audio forum, (http://www.audioasylum.com/forums/tubediy/messages/24/242353.html) about choosing between the Elekit and MP-301. I own high efficient speakers, Altec 19’s, so I am not worried about the output power. I have built kits before and restore, fix, and mod my vintage gear, (tubed & SS) so I feel naturally geared/leaning towards the Elekit. So, is the Elekit worth the increased premium in price? Another thing, your review was published on my birthday, maybe that is a sign! hahaha! Thanks for your question. I would go with the Elekit for two reasons. First, it is quieter. With high sensitivity speakers you will likely hear some tube rush from the Musical Paradise when the music is not playing. That may or may not bother you, but to be safe, go with the Elekit. The Elekit is also smoother sounding, which might pair better with potentially ‘shouty’ high sensitivity speakers. Having said that, you have to not only factor in the price difference, but the cost of your own labor as you build the Elekit. Thank you for your answer. Even after I posted the comment/question, I pretty much decided to order the Elekit here in a couple of months. I will post my experience with it after I build and have time to have serious listening sessions with it.I look forward to assembling this amp and having a go at rolling tubes with it! Our experiences (Tim, Scott and I) with Elekit products have been 100% positive. 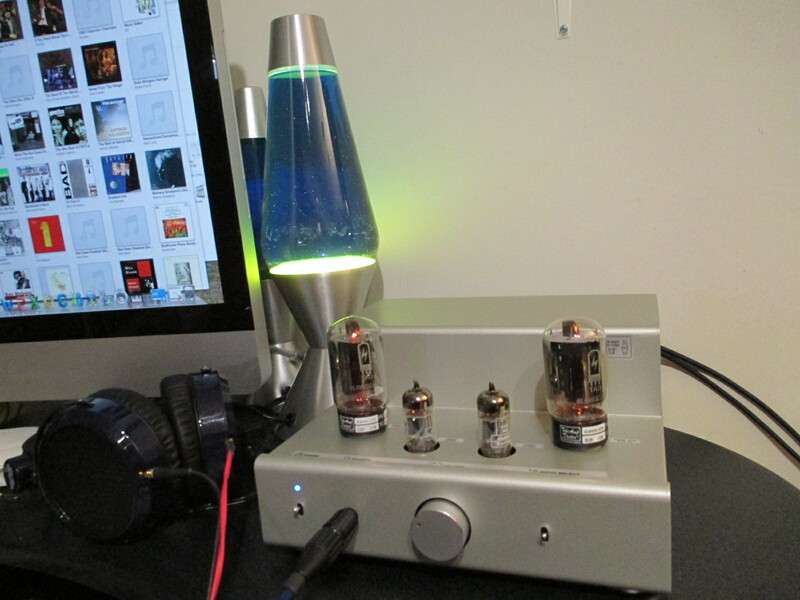 This week I received the new preamp kit from Victor, it looks outstanding. I have high hopes the preamp will outperform its price point, just like the amps do. Thanks for the comments and for reading Wall of Sound! You said that the Elekit was good for soft acoustics. I wanted to hear how it would perform with Contemporary Virtuoso like Miklos Rosza Violin Concerto and also Rachmaninoff..
Lots of strings, winds & percussion. Can anyone confirm..
All the reviews I read are based on acoustic, light jazz, blues and 60’s music. (example) Rózsa, Miklós violin concerto mvt3, Rachmaninoff Concerto No 3, Itzhak Perlman, Jascha Heifetz which consists of Strings, Winds / brass and percussion and of course lots of knotty scales, fast arpeggios that break into passionate, deeply hearted melodies and mustn’t be muddy, as my Mirantz tries to replicate it miserably! How would these handle that range in your opinion? 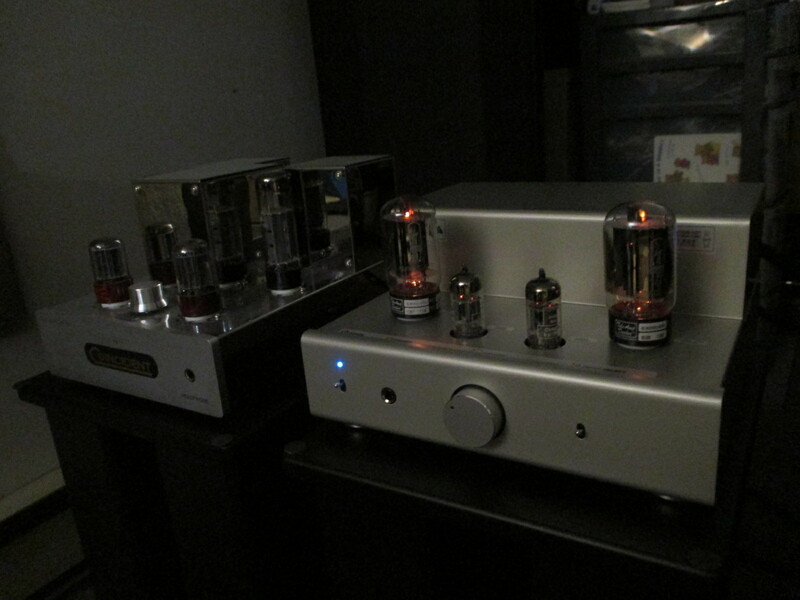 I currently run the predecessor to the amp Tim reviewed (model TU-879S). I’ll assume you’re asking about the speaker amp and not the headphone amp section. In my opinion these amps will deliver large scale and dynamic classic recordings, IF you have sufficiently sensitive or easy to drive speakers. In other words, speakers in the 95dB or higher range, or speakers with no crossover, like the Reference 3A’s. If you give the amp an easy load, and you aren’t trying to fill an enormous room with sound, it’ll do very well. But if those conditions aren’t met, the amp’s lack of watts will be apparent with clipping, which will sound a bit like overall compression of everything. If you tell us which Marantz amp you’re using, one of us might be able to draw a comparison there. Very late to this party, but I had a question that I have not seen asked about the TU-8200 yet. Does anyone happen to know if 12BH7’s can be used instead of the prescribed 12AU7’s? I know that this is sometimes possible, but depends on whether the amp can handle the additional current draw. I would suggest emailing Victor, or asking on the Elekit forum either at AA or DIYA. Does anyone know if a difference exists between a TU-8200 amp purchased from VKMusic or from the Tube Depot? Tom: I would check with Victor @VK Music. There were some issues with dealers packaging kits that didn’t have the R-core power transformer. Victor can advise.